A question of sport, Fear in childbirth, Crime Scene Science, Poison is my business, and a bit of Doctor Who… It can only be the Festival of Learning! What an exciting line up of events we have this year. If you haven’t had a good look through at everything that’s on offer this year then pick up a programme around campus (lot’s available in Poole House Reception), or head to the website and have a read of everything that’s going on! You never know you might find something to inspire your own public engagement efforts for the future! 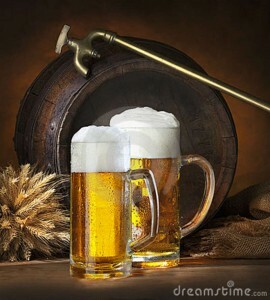 Here are a selection of hand picked events that we think are definitely worth a look. Please do share events with friends and family, we’d love to see them here! This fun and interactive session explores what it takes to become an elite sportsperson in Britain. We’ll ask the big questions about why and how the journey is made. You’ll find the answers surprising, emotional and definitely entertaining. The media is often blamed for influencing society’s attitudes and views. In this event two teams will debate the impact of the mass media on women’s views of childbirth. The workshop is for teachers and laboratory technical staff and will outline methods of examining a crime scene. You’ll learn how to retrieve evidence, as well techniques to enhance evidence, such as fingerprints and blood samples. Everything you learn can be replicated in the school environment and is a practical example of science in action. David Osselton is one of the country’s most experienced and senior practising forensic toxicologists. This lecture will take you on a trip through the history of poisons, poisoners and the development of modern day forensic toxicology. This event explores why the long-running TV show has been so successful. The session focuses on the series between 2005-2014 and will offer an account of what it is about the hopes and fears, loves and losses that makes the famous Time Lord such a powerful cultural presence. Easily one of the highlights of last years Festival, this event is back by popular demand! The illustrated lecture will investigate things people eat in different cultures and circumstances around the world. It will challenge you to look at what you choose to consume and what you don’t. You can taste some commonly eaten and some less commonly eaten foods… if you dare! Another one from Sean, this interactive lecture will investigate why we love to eat things that cause us pain. 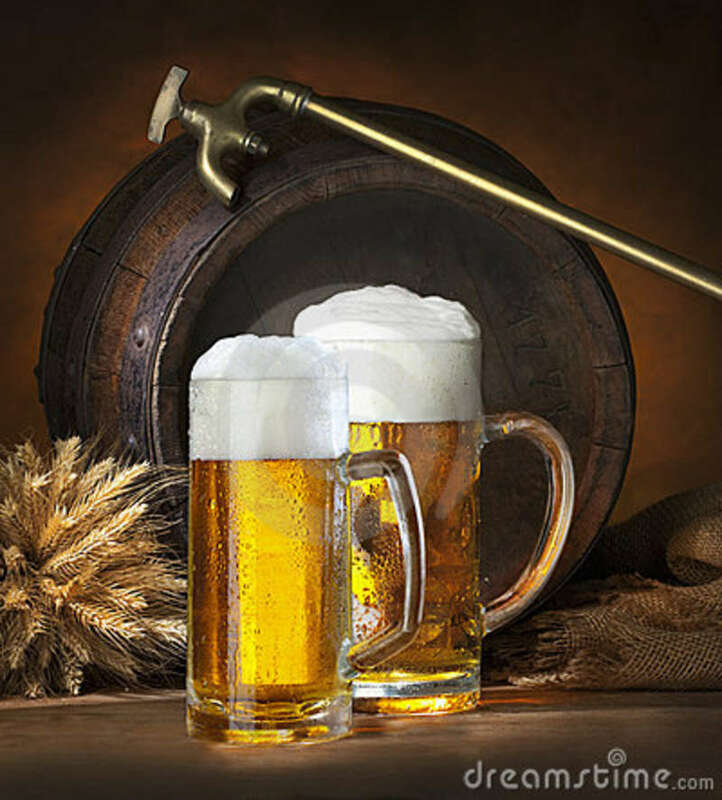 As well as challenging you to look more closely at why you consume the food and drink you do this discussion will involve tastings for the bravest of you out there! This is fun for all the family so why not bring the kids along and encourage them to learn something new about their dinner. Sticking with the food and psychology themes, this could be an interesting way to spend your lunch hour. We all use food to communicate, perhaps without even thinking about what we’re doing. We give chocolates to apologise and eat birthday cake to say sorry. This event will look at how and why we do this and examine other examples of how we use food to share meanings and communicate. This talk will explore the concept of Mass Extinction within the geological record, from dinosaurs to giant mammals! You’ll learn about events that could occur in the future and the impact they would have on our planet and society. The event is particularly suited to A-level Politics or Media Studies students interested in exploring questions around construction of the news, agenda setting and power. The interactive presentation explores the impact of public relations activity on the news. Executive Business Centre, 89 Holdenhurst Road, Bournemouth BH8 8EB, United Kingdom. 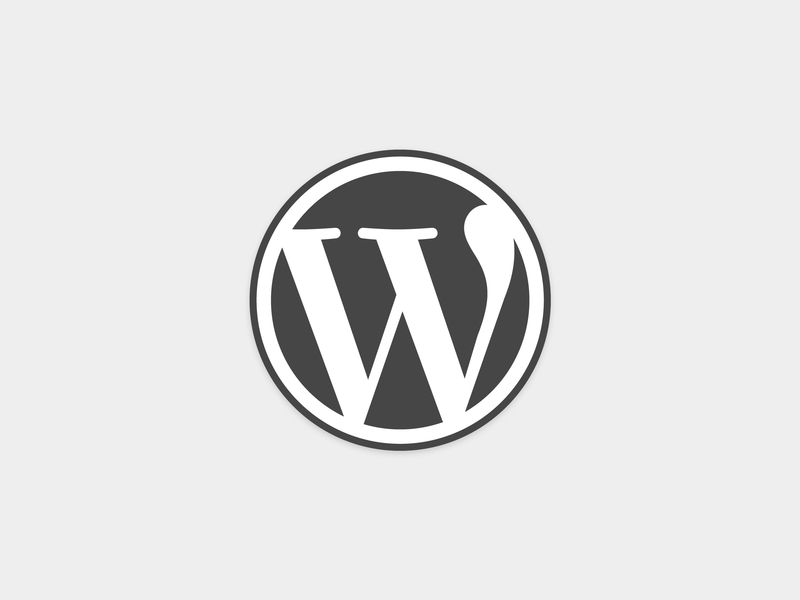 Fancy yourself a WordPress enthusiast? This two day, participant driven, conference is this year being hosted by Bournemouth University and Silicon South in its first official trip to the South West. One of the key aspects of this event is that the agenda is built online by participant proposed sessions as part of a multi-track agenda, so if you’ve got some nifty WordPress tricks up your sleeve you can propose a session share these with other experts. Now is your chance to get involved, click on the links to find out more about proposing a session (50 or 25 minutes) or a 5 minute lightning talk or just to register yourself for a £10 early bird ticket. This conference is a chance to build on your WordPress skills and meet community of developers. As you may have read about previously on this blog, in 2013 BU, on behalf of the Dorset Local Enterprise Partnership, took on the task of coordinating a regional Manifesto for the Creative and Digital Economy. Last June the manifesto was signed by local MP’s, business leaders, local authorities and education providers. From this Silicon South was born. Silicon south is the working group, led by David Ford of Bright Blue Day, in charge of turning the vision of the manifesto “to enhance the creative and digital economy of the area, building on our existing successes and strength to create a thriving international hub driving economic growth” into a reality. It is hoped that the successful implementation of these schemes will in the long term provide 3,500 high paid and high skilled jobs in Dorset, generating over £400 million in salaries, and contributing over £200 million back into the public purse by 2020. Recently BU has supported three key grants on behalf of Silicon South through the Higher Education Innovation Fund. First of these is a significant contribution to the marketing and development of Silicon South to make it a success. Support of this initiative will support thousands of jobs over the next five years, as well as facilitate BU’s 2018 objectives to enhance our support for the economic development of the region. As a pilot initiative for student incubation space BU have also contributed a modest grant to Nestspace to support 7 of our own students on their placement year as they run their own gaming company – Static Games. A further £1,500 contribution is being made to the We Are Base’s Open Device Lab, the world’s single largest device collection at an open device lab with over 244 devices available for developers to test their apps and websites on. The ODL represents a fantastic resource for our DEC and Media School students. 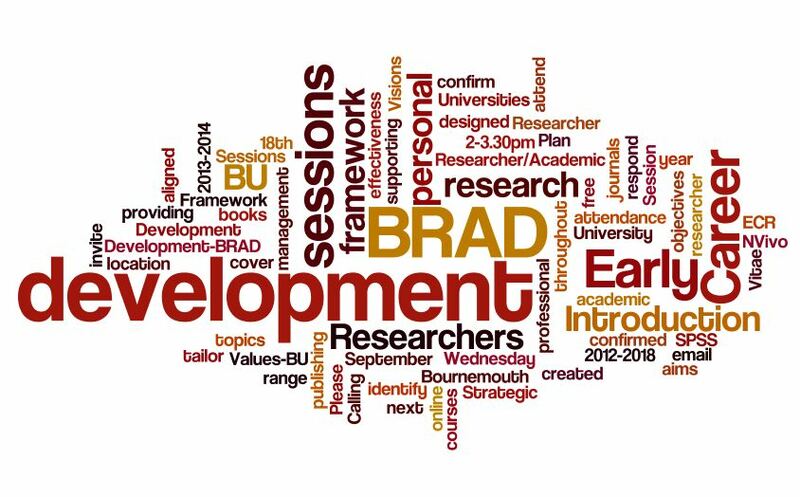 The team at the ODL will give a guest lecture at BU in early 2014, introducing the student engagement programme currently in development and launching ambassadorial roles for students to gain experience through involvement with the lab. Silicon South is going from strength to strength so if you’d like to be involved please email Sam Leahy-Harland to find out more. AHRC are offering Digital Transformations Amplifications Awards. Apply by 20/02/14 for up to £64,000. POST are hosting a new fellowship scheme in collaboration with the ESRC. Applications close 13/01/14. Would you be interested in giving this years Wilkins-Bernal-Medawar Lecture for the Royal Society? This prestigious lectureship is accompanied by a medal and a gift of £500. The deadline for nominations is 31/01/14. To those of you with an outstanding academic record in natural science, engineering or technology, whose work has the potential to improve the UK’s national prosperity there is up to £3,500 available through the Royal Society’s Mullard Award. The award closes 28/02/14. The Bakerian Lecture is delivered annually at the Royal Society in London and is the premier lecture in the physical sciences. The lectureship is accompanied by a medal and a £1,000 prize. Nominations close 31/01/14. In support of the promotion of women in science, technology, engineering and maths, the Rosalind Franklin Award and Lecture through the Royal Society is now open. The award is a Silver gilt medal and a accompanying grant of £30,000. Nominations close 31/01/14. Another prize lecture from the Royal Society you may want to apply for if your interests are in microbiology is the Leeuwenhoek prize lecture. There is a £500 prize and a medal available with a deadline for nominations on 31/01/14. The Royal Society’s Coonian lecture has also opened for nominations. This is the premier lecture in the biological sciences and is accompanied by a medal and a prize of £1000. Nominations close on 31/01/14. To anyone who perhaps has a knack for science communication with the public you may be interested in applying for the Michael Faraday Prize for excellence in communicating science to UK audiences, worth £2,500 from the Royal Society. Nominations close 31/01/14. The Milner Award, for outstanding achievements in computer science is now open for nominations. The award is for £5000 from the Royal Society so be sure to apply before the award closes on 31/01/14. The Royal Society’s Armourers & Brasiers’ Company Prize is made for excellent use-inspired research on structural or functional materials that is both fundamental and for the benefit of society. It is worth £2,000 and nominations close 31/01/14. Annual medals worth up to £5000 each in the fields of physical, chemical, biological and applied sciences are available from the Royal Society. Apply before 31/01/14. Biennial medals (even years) from the Royal Society are also on offer, worth up to £1,000, from the Royal Society. Apply before 31/01/14. Finally for Royal Society awards is the Francis Crick lecture in the subject of biology. The lectureship is worth £500 and nominations close 31/01/14. Knowledge Transfer Partnership’s are available from the TSB. 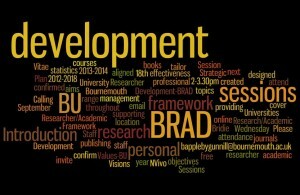 To find about more about KTP’s at Bournemouth University take a look at these posts from the research blog. Investment of up to £10m for enabling technologies for genomics sequence data analysis and interpretation is available from the TSB. Up to £2m of this is available in Phase 1 with development contracts of a maximum of £200,000 for up to 6 months. Registration closes 26/01/14 and the award will close to applications 05/02/14. Investment of up to £75m in collaborative R&D projects in the field of low carbon vehicles is available from the TSB, in partnership with the Department for Business, Innovation and Skills. Registration closes 29/01/14 with the final deadline for 05/02/14. University awards in society and ethics are available from the Wellcome Trust that will support outstanding early or mid-career researchers to secure permanent posts with their University. The maximum award is unspecified and the closing date for applications is 20/06/14. The Wellcome Trust are offering a maximum of £250,000 for Research Fellowships for Health Professionals. Please apply before 20/06/14. Also on offer from the Wellcome Trust are Postdoctoral Research Training Fellowships for Clinicians. 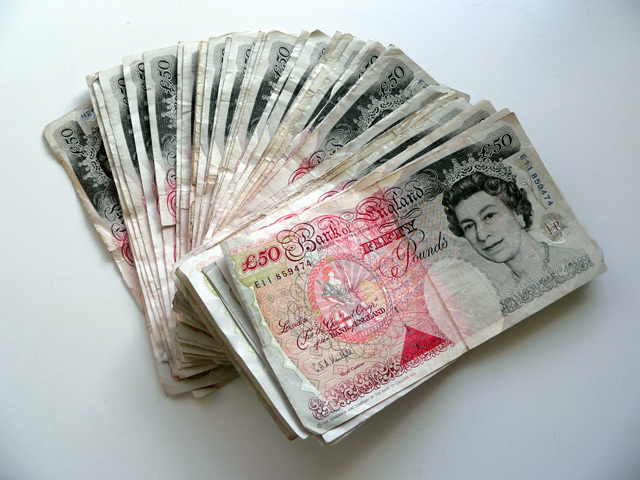 Apply for a maximum of £350,000 before 02/05/14. Intermediate clinical fellowships to enable candidates to continue their research interests at a post doc level at an appropriate clinical research facilty are available through the Wellcome Trust. Apply by 06/05/14. The Wellcome Trust are offering up to £250,000 for research fellowships in society and ethics. Apply by 20/06/14. Please note that some funders specify a time for submission as well as a date. Please confirm this with your RKE Support Officer. You can set up your own personalised alerts on ResearchProfessional. If you need help setting these up, just ask your School’s RKE Officer in RKE Operations or see the recent post on this topic. The ESRC are looking to fund six research grants relating to understanding the challenges of the food system. Joint funding of up to £1.87 million at up to 100% FEC is available. The call closes 30/01/14. Research base funding is available for research in engineering and the physical sciences from the EPSRC. 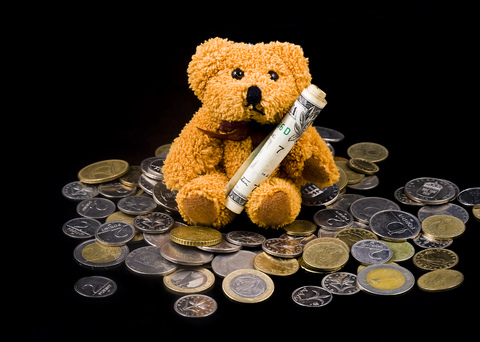 This funding is very flexible and can be used for almost any project over any length of time. There is no maximum limit and there is no closing date for this call. Early career fellowships are available from The Leverhulme Trust providing up to a maximum of 50% of each Fellow’s salary and up to £6000 in research expenses. The maximum award is £87,000 and the closing deadline is 06/03/14. Research grants and new investigator research grants are on offer from the MRC to those seeking to occupy their new research complex in Harwell. The maximum award is unspecified and the closing date is 08/01/14. Career development awards are also available for researchers who want to utilise the MRC‘s new research complex in Harwell. There is no maximum award however the closing deadline is 30/04/14. The MRC are looking to support methods development research looking at the effect of bias in randomized controlled trials. They are particularly interested in multiple testing and subgroup analysis. There is no specified maximum award and the closing deadline is 23/01/14. The MRC are looking for researchers to investigate missing data and the use of propensity scores. There is no specified maximum award and the closing deadline is 23/01/14. The MRC is interested in supporting methods research for assessing the quality of life in carers. There is no specified maximum award and the closing deadline is 23/01/14. Funding to support methods research to support the use of observational data in clinical decision making is available from the MRC. There is no specified maximum award and the closing deadline is 23/01/14. Up to £5 million is available from the TSB for a India-UK Collaborative Industrial Research and Development Programme. Registration closes 12/02/14 with a final closing date of 19/02/14. The DFID/ESRC China and Africa research programme is now open with the goal of investigating how lessons learned from China’s economic development can be applied to other developing nations, specifically low-income Africa. 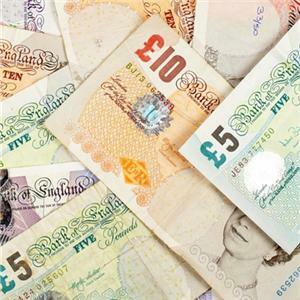 There is up to £4.5 million available to fund a variety of projects between £200,000 and £2 million. Closing date for this opportunity 13/03/14. The ESRC/DFID are also offering a joint fund for poverty alleviation research with awards for between £100,000 and £500,000. Applications close on 16/01/14. The NERC are investing £2.2 million to fund 2 projects looking at understanding at a process level the drivers of variability in atmospheric circulation in order to improve models and predictions of the the European climate on a seasonal to decadal timescale. The closing date for proposals in 23/01/14. How can we improve the health and well being of our population through the better use of population health information? Investment of up to £50,000 is available from Swansea University for the development of tools, methods and approaches that use the Secure Anonymised Information Linkage database to drive improvements to the service through better planning and evaluation. The Academy of Medical Science are providing funds to support travel between the UK and Middle East through the Daniel Turnberg UK/Middle East Travel Fellowship Scheme. Funding of up to £3,500 is available closing on 15/01/14. The AHRC Science in culture innovation awards are now open. Funding of up to £80,000 (80% of FEC) over a period of 12 months will be awarded to successful grants. The closing date for this opportunity is 27/02/13. 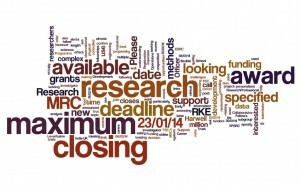 AHRC have opened a call for Research Innovation grants in Translating Cultures. Funding of between £150,000 and £200,000 is available. Closing date is 06/03/14. Have a great idea for an engaging exhibition stand at next Novembers Great British Bioscience Exhibition? The BBSRC have just announced £10,000 worth of funding to support these innovative and engaging ideas. Closing date for applications is 15/01/14. The British Academy are supporting visiting fellowships through the Association of South-East Asian Studies in the United Kingdom by providing awards of up to £5,000 to enable scholars to make research visits to research centres operated by the European Consortium for Asian Field Study. Closing date is 20/12/14. EPSRC provide funding to encourage international collaboration through their Bilateral research workshops. 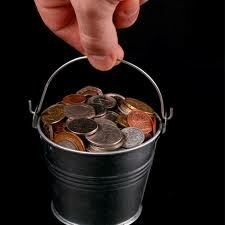 Funds will cover the UK participants travel costs and for UK meetings, cover the core meeting expenses. There is no set closing date for this opportunity. Taking place at The University of Nottingham the EPSRC are hosting a two day workshop in Exploring the science behind additive manufacturing and 3-D printing sandpit. Funds are available to cover the cost of travel to Nottingham. Closing date is 10/12/13. Research grants of up to £1m are available from the MRC to support a wide range of projects. Topics include Infections and Immunity (closing 15/01/2014), Molecular and Cellular Medicine (closing 08/01/14), Population and Systems Medicine (closing 21/01/14), and Neurosciences and Mental Health (closing 04/02/14). £150 million is being put forward as capital by the MRC to enhance the UK’s clinical research capabilities and technologies. Individual awards of up to £20 million are available, closing for expressions of interest is 07/01/14 with funding decisions being made in July for spend in 2015/16. Funding of up to £2000 is available from the NERC to cover travel and subsistence costs associated with undertaking a Work shadow placement. There is no closing date for this award. The NIHR invite applications invites applications for the researcher-led workstream under its efficacy and mechanism evaluation programme. The closing date for this year’s round of funding is 27/02/14. RCUK provide support to disabled students on a RCUK studentship through a Disabled Students Allowance scheme providing assistance with the additional expenditure arising from their disability. The TSB, in collaboration with the Welsh government and the EPSRC are investing a total of £3.8 million in business led projects to develop innovative Tools and services for synthetic biology. Individual projects should be for between £100,000 and £350,000 however those outside the range will be considered. Closing date for registration is 08/01/14 and the deadline is the 15/01/14. Four awards of up to £25,000 are available from the TSB as part of their Digital innovation contest in advertising. The closing date for this opportunity is 06/01/14. The UnBox LABS 2014 is an exciting opportunity for creative practitioners, artists and researchers to take part in a 10-day lab experience bringing together the UK and India to explore the theme “Future Cities”. The AHRC are providing support for travel and accommodation to India, along with a small prototype development budget. Closing date is 06/12/13. The British Academy’s annual Wiley prize in psychology is now open providing an award of £5,000 in recognition of excellence in research in psychology. The 2014 award will be focussing on promising early-career work by a UK based psychologist. They are also offering the Wiley prize in economics which recognises outstanding contributions to the field from early career researchers. The closing date for both nominations is the 31/01/14. Interested in international collaboration? The British Academy are offering grants of up to £30,000 in their International partnership and mobility scheme. Closing date for applications is 05/02/14. BBSRC’s FLexible Interchange Programme supports the movement of people from one environment to a different one to exchange knowledge, technology and skills in order to develop bioscience research and researchers. This programme closes 28/01/14. The BBSRC are opening calls for super follow-on funding on the 2nd December. This programme is designed to support the translation of research into practical and commercial application. The maximum award is £2 million. The closing date is 05/02/14. The EPSRC are looking to strengthen relationships between industry and academics through their High Value Manufacturing Catapult fellowships. Closing date 16/12/13. Two ICT Early Career Researcher Workshops are being run in February 2014 in Oxford and Glasgow by the EPSRC. Closing date for registration is 03/01/14. The MRC are offering New Investigator Research Grants aimed at researchers who are ready to take the next step towards becoming independent principal investigators. The maximum award is unspecified and the closing date for this award is 21/01/14. Interested in building a career in health economics? The MRC are offering early career fellowships in economics of health, providing three years of paid salary, cover for training and other associated costs. The closing date for this opportunity is 17/06/14. The MRC are offering a Methodology Research Fellowship aimed at developing the next generation of research leaders in biomedical and health research problems. This is an intermediate level fellowship for those with between 4-8 years of post-doctoral experience. The closing date for this award is 17/06/14. 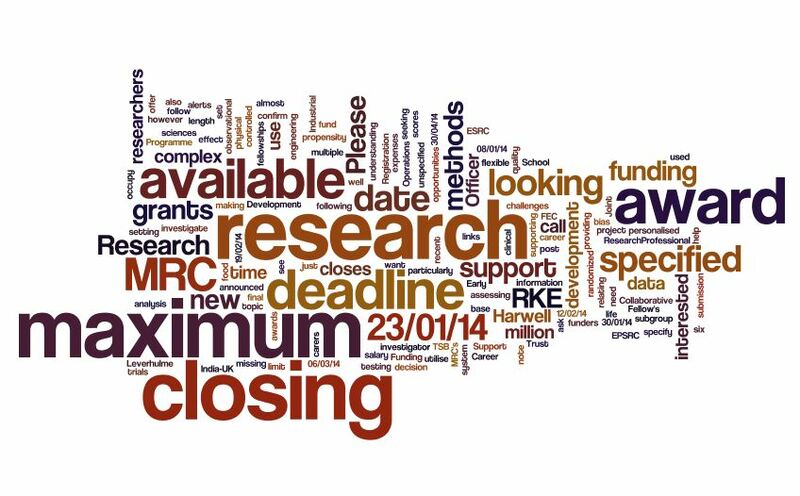 There is a Population health scientist fellowship on offer through the MRC providing up to 4 years of support to pre and post-doctoral researchers. The given closing date is 17/06/2014. New investigator research grants are available from the MRC, providing support for both clinical and non-clinical researchers. Areas covered include; Infections and Immunity (closing 15/01/2014), Molecular and Cellular Medicine (closing 08/01/14), and Neurosciences and Mental Health (closing 04/02/14). Are you an outstanding postdoctoral researcher? Take the next step to becoming an independent investigator with this Career Development Award from the MRC. Closing date 30/04/14. Interested in building a career in statistically based health research? Take a look at this MRC Career Development Award in Biostatistics. Closing date 17/06/14. There is a cross board call open from the MRC for proposals addressing Chronic Fatigue Syndrome/Myalgic Encephalomyelitis. There is no fixed award or specified closing date. There is a call by the MRC for research proposals in prevention and treatment of type 2 diabetes in low and middle income countries. Up to £2m in available in funding for multiple proposals and the closing date is 11/02/14. A Biomedical Informatics fellowship is available from the MRC to support individual with a clear ambition for research in biomedical and health research. Closing date 17/06/14. Designed to fund rapid response to unexpected and temporary environmental events NERC offer Urgency Grants of up to £52,000. There is no specified closing date. Five Dorothy Hodgkin Fellowships are available from the Royal Society to help early career researchers who may need to a flexible working pattern due to personal commitments such as child care or health issues. Closing date is 13/01/14. The TSB are looking to invest up to £3 million in collaborative R&D projects with a focus on Vessel Efficiency – better systems at sea. Projects should be collaborative and business led and will typically range in size from £500K to £1.5 million. Registration ends 26/02/14 and the closing deadline is 05/03/13. The Wellcome Trust are offering Arts awards for small to medium sized projects that encourage collaboration between art and science. The maximum aware is £30,000 and the closing date is the 28/02/14. Small grants of up to £5,000 are available from the Wellcome trust for scoping exercises or meetings to discuss research in the medical humanities. There is no specified closing date for these awards. As an Undergraduate Events Management student here at BU, looking for a placement opportunity was one of the biggest challenges I’ve faced. Some people of course get lucky and get their dream placement after two weeks of looking and their first interview, however for the less fortunate (or potentially more picky!) of us, second year is a hard lesson in rejection from what felt like every events and marketing company in the UK – and I think at one point an engineering firm as well. I am however, so glad to have missed out on all of those jobs, as working for R&KEO as the Festival of Learning Event Coordinator I’ve ended up having the best placement experience I could have hoped for! Coming into R&KEO Development and Operations as the youngest person by the best part of a decade (sorry guys!) could have been incredibly daunting but they are thankfully a fantastic team of very friendly and supportive people who are always happy to help. I’ve had a brilliant year working on a huge variety of events and learning something new at every one of them! 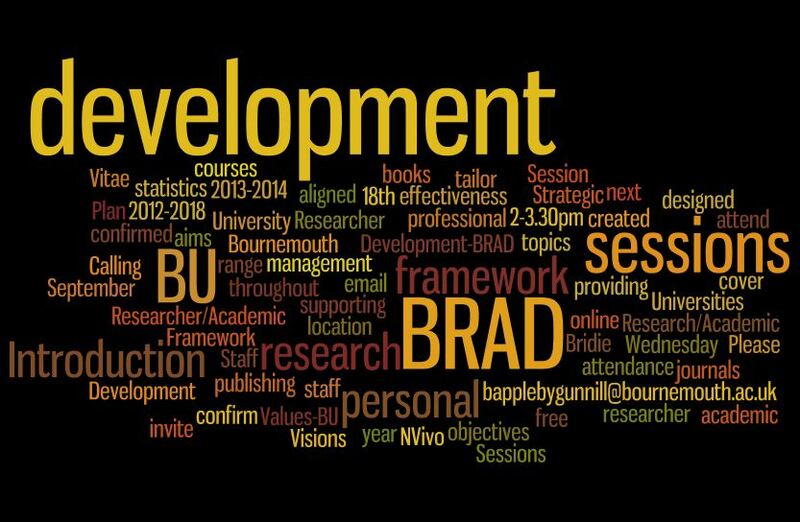 In the past year I’ve come to really enjoy working with BU academics to organise public engagement events around your fantastic research and I’m a little sad to not be involved with the Festival of Learning 2014 – although incredibly excited to have some time available to actually attend some of the events! Launching Café Scientifique with colleagues from AECC back in October 2012 definitely has been one of the many highlights of my year and continues to be an event I look forward to each month. Whether it’s watching Bryce Dyer bounce around on his kangaroo shoes to explain the momentum of prosthetic running blades, or trying very hard not to yawn through Simon Thompson telling us the psychology behind why we yawn, there has always been something new and interesting to learn! 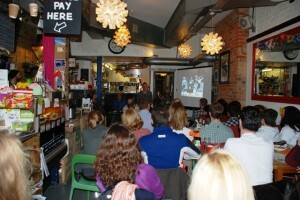 If you haven’t come along to one before make sure you head to Cafe Boscanova on Tuesday 3 September at 7.30pm to hear all about Performance Enhancing Drugs in sport from Southampton’s Professor Richard Holt – they’re always a great night out and the team at Boscanova serve up some wonderful food and drink. Having a placement year included in the Event Management course was one of the main reasons I chose to come to Bournemouth University (although, the proximity to the beach and the fact it’s supposed to be one of the sunniest places in the UK didn’t hurt either!) and it has been even better than I expected – I now don’t want to go back to studying! Thank you to everyone I’ve worked with this year you’ve all been wonderful. 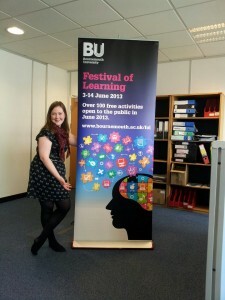 Tags: Festival of Learning public engagement R&KEO student placements Thank you! The Festival of Learning is just just over 6 weeks away and our talented marketing and PR teams have been doing some sterling work to get the message of the Festival out to the local population in Bournemouth, Poole and Christchurch. We hope you’re all as excited about this Festival as we are and would love it if you could help us promote this fantastic event via social media. Follow us on Twitter @BUFestivals and talk about us to your friends using #BUFest13. Fusion is at the heart of BU and over the last 12 months a range of funds and activities have been undertaken to help drive Fusion through our university. The Fusion in Action half day conference on April 18 showcases the best examples of Fusion in Action from around the university. There will also be posters showcasing various Fusion projects for you to view during the conference and Fusion Investment Surgery drop in sessions where you can discuss a potential application with a member of the Panel. This is a great opportunity to find out how Fusion is in action throughout BU and also learn more as to how you can get involved and secure funding. Bookings are essential and can be done via the Staff Development Webpage.